Thin, delicate stems rise up tall, with feather-like green leaves growing up and out along the stalks. 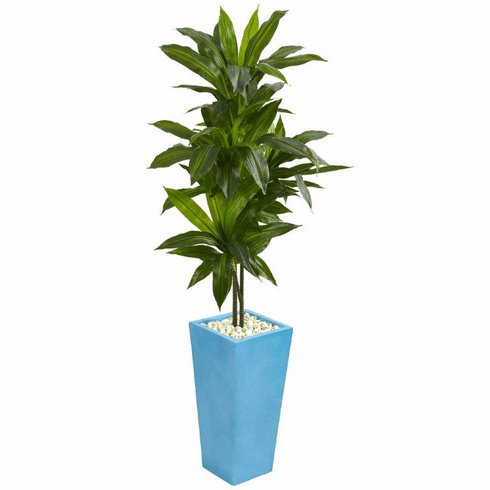 This realistic artificial dracaena in a turquoise planter was carefully crafted for realism. Place it near other faux plants to help create a lush, tropical atmosphere. Size: Height: 5 Ft., Width: 18 In., Depth: 24 In.